A visit to the Kids Help Phone website inspires hope. They have resources and supports, reflections and kudos. You may wish to read their 2016 impact report? Now more than ever, kids need Kids Help Phone. Our professional counsellors are continually in touch with young people from across the country. This contact keeps us keenly aware of the emerging needs of young people and the year-over-year growth in demand for our services. In fact, since 2010, telephone counselling has increased by 127%. This indicates that while Kids Help Phone now offers our trusted support online, many young people still want to hear a voice at the other end of the line. Our professional counsellors are there for that, ready to talk to kids, no matter how big or how small their problem may seem. These are just a few of the indications that young people’s concerns are getting more complex. As a result of this, it can take us longer to respond to their needs. This means that, just as kids are struggling with their emotions and life challenges, we find ourselves struggling sometimes too – just to keep up with their demand for our service. That’s because more youth need us now than ever before. Nonetheless, we are proud to report that when a child calls our counselling line, the average wait time in 2013 was only 26 seconds before one of our professional, caring counsellors answered their call. But we’d like to do more. We’d like to expand our Live Chat service hours so even more kids can connect with us and get the support that they need. We want to provide more time for kids to chat with our counsellors, and less time waiting in queue. We want to do this to help the young people who reach out to us in need. But we can’t without you. DONATE, and let’s accomplish this together. 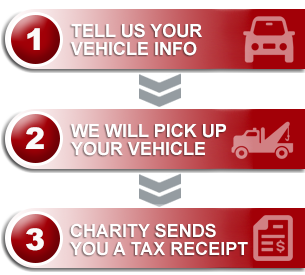 Your donation-ready vehicle, whether re-sold or recycled, will help the kids you care about!